Father Robert T. Kennedy, a Boston native and a priest of the archdiocese of New York since his ordination there on May 30, 1959, died March 28 in Timonium, Md. Born on May 20, 1929, he was a son of the late Thomas and Mary (McCarthy) Kennedy; his family moved to New York and he attended Iona College Prep, New Rochelle, N.Y; he then returned to Massachusetts for college at Holy Cross in Worcester, graduating in 1950. 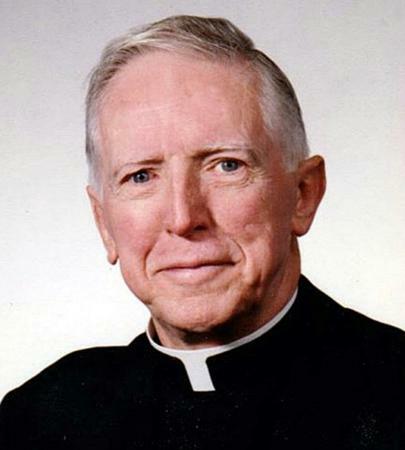 He was graduated from Harvard Law School in 1953 and shortly afterwards entered St. Joseph Seminary in Dunwoodie, N.Y. Another son of the Boston archdiocese, Francis Cardinal Spellman ordained him to the priesthood at St. Patrick Cathedral on May 30, 1959. He was sent to Rome to pursue graduate studies in canon law and received a JUD degree (doctorate in both canon and civil law), He returned to New York and was vice chancellor of the archdiocese and also a chaplain at the United States Military Academy at West Point -- then a parish of the archdiocese; now a base Catholic chapel of the US Army. He was later released from the archdiocese to serve on the faculty of the Catholic University of America's Canon Law School. He was also president of the Canon Law Society of America (1970) as well as recipient of its prestigious Role of Law Award (1976). He served also as an adviser to the Holy See during the process of the revision of the Code of Canon Law and as a consultant to the Bishops of the United States Canonical Affairs committee. During his Washington service, he was also a frequent presence in parishes of the Washington Archdiocese and also chaplain of Notre Dame College. Father Kennedy's funeral Mass was celebrated at St. Theresa of Avila Church, West Roxbury, on April 12. He was buried in Holyhood Cemetery, Brookline. His survivors include a nephew and cousins, including Father James F. Rafferty, Plymouth.